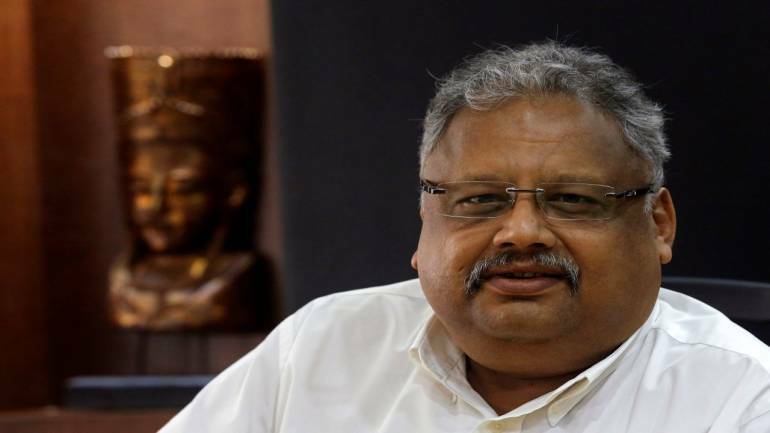 After a double-digit correction from the highs if you are losing confidence in equity markets then fear not because the rally is likely to continue as Nifty might have made a near-term bottom at 10,000 while resistance could be seen at 11,000-11,100 in the near term, Rakesh Jhunjhunwala, Partner, Rare Enterprises, said in an interview with CNBC-TV18. Macros have now turned favourable for Indian markets which will act as a big tailwind going forward. “I’m always bullish on India and do not see any reason to be bearish. Oil and rupee are the biggest factors for the recent decline in markets which have reversed now,” said Jhunjhunwala. He further explained the fact that despite relentless selling by foreign investors, the Indian market has been resilient thanks to domestic flows. Overseas investors pulled out a massive Rs 38,900 crore (over $5 billion) from the capital markets in October, the steepest outflow in nearly two years, on rising crude oil prices, depreciating rupee and worsening current account deficit. With this, the total outflow from the capital markets (equity and debt together) has reached over Rs 1 lakh crore so far this year, a PTI report said. “In 2013, Nifty was at 4,800 and in 5 years it crossed 11,500 and the correction that we witnessed was a poor correction compared to the rise and this happened when we recorded biggest FII selling. The last time when we saw this kind of selling in 2008, we saw absolute demolition,” explains Jhunjhunwala. He further added that selling has been absorbed exceedingly well and the flow of local money will continue. The economy is fine and I don’t see any reason to be bearish. “The main macroeconomic factors which were responsible for the recent correction i.e. rupee and oil prices have now revered,” he added. Jhunjhunwala is of the view that we will see a big downward correction in oil. He expects it to stabilise at $65-70/bbl and for the rupee, the currency could stabilise in the range of Rs 70-75/$. Commenting on the IL&FS default, Jhunjhunwala feels that the crisis signifies the peak of the NPA cycle. There is no credit risk or systemic risk in the economy and there is no reason for investors to fear. Considering that we are at the end of the NPA cycle, Jhunjhunwala is considering to invest in PSU banks selectively. Private sector banks such as Yes Bank, ICICI Bank, and select NBFCs are likely to do well.